A modern, more simplified 32bit Flight controller, which includes a complete own Flight Controller Firmware development to get rid of some unneccesary ballast. This FC simplifies things and optimizes the code to a point where getting launch ready become a quick and easy process. Just choose your frame in the GUI and configure (with KISS ESCs), otherwise you can download preset configurations from well known Pilots and tweak the PIDs yourself through the GUI. The software setup side is easy; many things are already taken into account so with some solid soldering skills you should be able to build your quad pretty quickly. 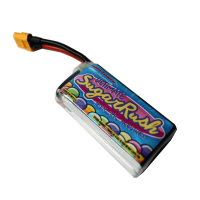 A new feature is also the inbuild telemetry, in combination with Kiss 32bit ESCs its possible to show the live telemetry data via OSD on your FPV live feed or in the KISS FC GUI This way you get useful information like battery voltage, current consumption, ESC temperature and motor RPM. The manual will be available to you at the time of purchase, just go to your account and choose downloads.